Just How Useful is Reclaimed Timber? Did you know that the U.S. Environmental Protection Agency claims about 40 to 50 percent of wood from demolished buildings can be reused in new construction? While in the past there were limited ways to recycle wood in the United States, it’s becoming a more common practice because there are so many ways recycled wood can be used by builders. 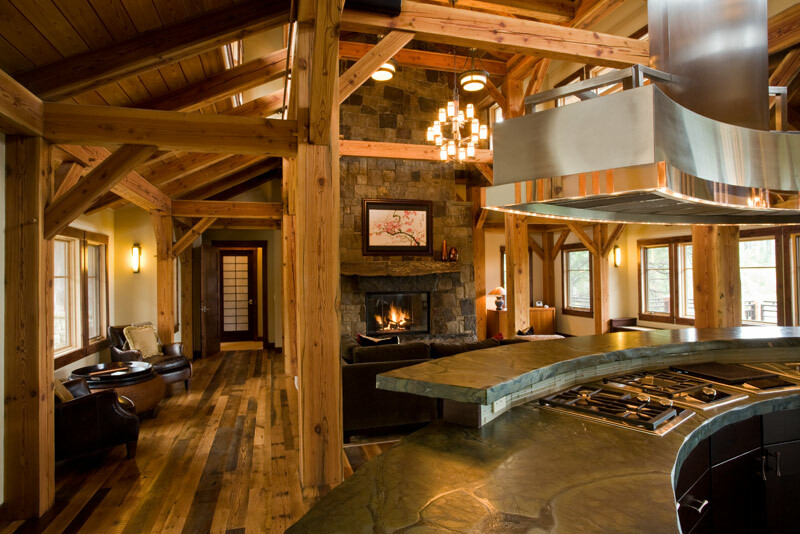 One of our favorite reclaimed timber projects was Trey Parker’s Steamboat Springs home. In his home, we used timbers that had been salvaged from a railroad bridge that had at one time covered a part of the Great Salt Lake, much to the delight of local wildlife who thought the salted timbers were dessert. Using reclaimed timber was a great choice to create the look that was desired for this home, as well as a way to continue in our efforts of creating an environmentally friendly home. Reclaimed timber beams are also a great choice because aged wood is seasoned, which means it is more stable than newly cut wood. Along with using reclaimed timber beams, wood that has is historic, recycled, or reclaimed can also be used for flooring and walls in new construction. Recycled wood can also be useful as garden or yard art, or to create new furniture. Using reclaimed and recycled wood doesn’t have to stop at the framing of a home. Here at Trilogy Partners, we strive to be as environmentally responsible as possible in our building practices. Using reclaimed timber and recycled wood is just one way we achieve that goal.